A record number of digital entries for the 2019 Molly Morpeth Canaday Award - Painting and Drawing (MMCA) have been received from artists all over New Zealand. Some 500 entries are now being deliberated on by Preliminary Judges. These judges - Ane Tonga (curator and writer), Andrew McLeod (artist), and Kirstin Carlin (artist and 2017 MMCA Major Award Winner) - are tasked with independently selecting their top picks from the pool of 500 entries. The scores awarded by these judges will be collated in January, to determine the works called in for exhibition. Entrants will be notified of these results by Thursday 17 January 2019. The 2019 Molly Morpeth Canaday Award - Painting and Drawing exhibition, presented by Arts Whakatāne and Whakatane Museum and Arts, will be open for viewing from Sunday 17 February - Sunday 7 April 2019 at Te Kōputu a te whanga a Toi - Whakatāne Library and Exhibition Centre. Programme details can be found on the Molly Morpeth Canaday Award website (www.mollymorpethcanaday.co.nz). Organisers of the Molly Morpeth Canaday Award (MMCA) - Painting and Drawing today announce leading Australian art academic and critic Dr Christopher McAuliffe as Guest Judge for the 2019 edition of the competition. The appointment of an international art professional to the judging panel is a historical first for the 32-year-old award, which began its 2019 call for entries from New Zealand artists on 1 August 2018, closing 1 December. Currently a Professor of Art in Practice-led Research at the School of Art and Design, Australian National University, Dr McAuliffe has held significant museum and academic positions since 1988, including Director University of Melbourne’s Ian Potter Museum of Art. He is an influential curator, with his most recent exhibition, Robert Smithson: Time Crystals, showing at the University of Queensland Art Museum this year. A prolific writer and critic, Dr McAuliffe has published over 130 articles, academic papers, reviews, and books, focusing primarily on Australian art. Winners will be selected in a two-stage judging process that has seen a rigorous revamp for the 2019 award season. Three leading art practitioners will review all entries and select the 2019 finalists: 2017 MMCA winner Kirstin Carlin; award winning artist Andrew McLeod; and Auckland based artist, curator and writer Ane Tonga sit on this 2019 preliminary judging panel. Finalists are exhibited at Te Kōputu a te Whanga a Toi – the Whakatāne Library and Exhibition Centre, where Guest Judge Dr McAuliffe will select the 2019 award winners from among the works on show. Founded by the Whakatane District Community Arts Council (Arts Whakatāne), the MMCA is one of New Zealand's longest running and most vibrant national contemporary art awards. Entries for the 2019 year for the Molly Morpeth Canaday Award - Painting and Drawing opened in August this year and will close on 1 December 2018. Up for grabs by New Zealand artists–both emerging and established–is over $20,000 in awards, including the $10,000 MMCA Major Award, $4,000 Akel Shulte Award and $2,500 Craig’s Investment Partners Youth Award. Entrants must pay $40 per entry and can apply online at mollymorpethcanadayaward.co.nz. The 2019 Molly Morpeth Canaday Award - Painting and Drawing is presented by Arts Whakatāne and Whakatāne Museum and Arts. The Molly Morpeth Canaday Trust is the primary award sponsor. Guest Judge Dr Christopher McAuliffe will be flown to Whakatāne from Auckland courtesy of Air Chathams. One of New Zealand's longest running and most vibrant national contemporary art awards is now open for entries. The 2019 Molly Morpeth Canaday Award (MMCA) - Painting and Drawing, has more than $20,000 in prize money for emerging and established New Zealand artists. The MMCA Major Award winner will take away $10,000, while the Akel Schulte Runner Up Award-winner will receive $4,000, and $2,500 will go to the winner of the Craig’s Investment Partners Youth Award. Winners will be selected in a two-stage judging process that has seen a rigorous revamp for the 2019 award season. Three leading art practitioners will review all entries received and select the 2019 finalists. This year’s preliminary judging panel comprises of 2017 MMCA winner Kristin Carlin, award-winning artist Andrew McLeod, and Auckland-based artist, curator and writer, Ane Tonga. Finalists are exhibited at Te Kōputu a te Whanga a Toi – the Whakatāne Library and Exhibition Centre, where a Guest Judge (to be announced at a later date) will select the 2019 award winners from among the works on show. The 2019 Molly Morpeth Canaday Award - Painting and Drawing is open to permanent residents of New Zealand and those who hold New Zealand citizenship. Entries officially opened on 1 August 2018 and will close on 1 December 2018. The exhibition of finalist works opens to the public on Saturday, 16 February 2019 at Te Kōputu, and will remain open until Sunday, 7 April 2019. Entrants must pay $40 per entry and can apply online at mollymorpethcanadayaward.co.nz. The 2019 Molly Morpeth Canaday Award - Painting and Drawing is presented by Arts Whakatāne and Whakatāne Museum and Arts. The Molly Morpeth Canaday Trust is the primary award sponsor. Founded in 1986 as the Shell Art Award by the Whakatane District Community Arts Council (Arts Whakatāne), the competition quickly gained the respect of the New Zealand art community. In 1991, the Molly Morpeth Canaday Trust joined as principal sponsor and the name of the award was changed to acknowledge their support, becoming known as the Molly Morpeth Canaday Award. Today, two awards exist under the MMCA banner, one for painting and drawing and another for 3D works. The Molly Morpeth Canaday Trust was established by Frank H. Canaday, the husband of Molly Morpeth Canaday, in Whakatāne in 1971 and is a major supporter of the arts in the region. Contemporary three-dimensional art from Kaitaia to Dunedin and many places in between will be arriving in Whakatāne in the coming weeks for the 2018 Molly Morpeth Canaday Award 3D exhibition. Over 230 works were submitted, with nearly 60 making the final selection for the upcoming exhibition at Te kōputu a te whanga a Toi – Whakatāne Library and Exhibition Centre, which opens to the public on Saturday 17 February. The up-coming Molly Morpeth Canaday Award 3D exhibition begins with a free public preview on Saturday 17 February from 10am to 2pm, giving residents and visitors a first look at New Zealand’s contemporary art scene across three gallery spaces. Award winners will be announced that evening at a ticketed Opening Reception and Award Presentation beginning at 5:30 pm. Tickets will be available from The Good Life, located on The Strand in Whakatāne, from 7 February. The 2018 Molly Morpeth Canaday Award 3D is presented by Arts Whakatāne and Whakatāne Museum and Arts, and made possible by the generous support of the Molly Morpeth Canaday Trust. The Fund was established over 25 years ago by Frank Canaday in memory of his wife Molly Morpeth Canaday and has been a major supporter of the arts in Whakatāne ever since. Image information: Adrienne Ranson, Story-Rock of No-Origin, wood, ceramic, enamel, paint. The 2018 Molly Morpeth Canady Award 3D is specifically three-dimensional arts focused, providing a notable platform for artists working in the areas of sculpture, installation and contemporary craft. It features outstanding work from leading artists nationwide. The exhibition, presented by Arts Whakatāne and Whakatāne Museum and Arts, is not to be missed! Come along to the free Public Preview from 10am – 2pm on Saturday 17 February, or purchase a ticket for the Opening and Award Presentation and celebrate contemporary New Zealand artists in the evening. A series of free talks by judges and artists also accompanies the award exhibition. 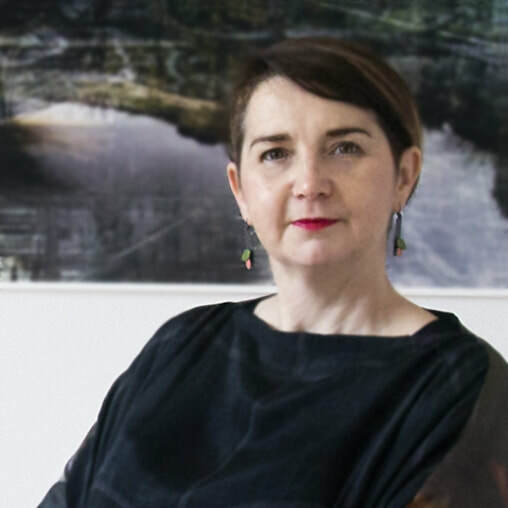 Established New Zealand arts practitioner, and 2018 MMCA 3D Guest Judge Deborah Crowe will base this talk around works in the exhibition. Come along for insights on this year’s selection! Judge and past joint Major Award Winner Jasmine Te Hira will share her thoughts on the 2018 MMCA – 3D exhibition and offer a look into her own object-based practice. Richard Maloy is an artist with a multi-disciplinary practice, which centres around concepts of performativity and process. 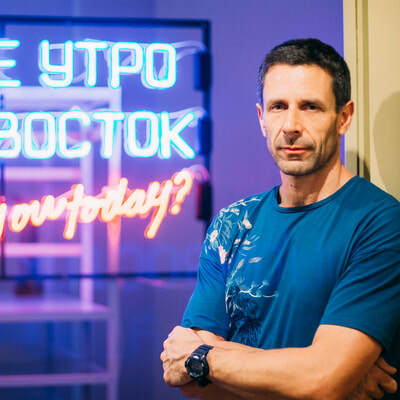 In this talk Maloy will focus on a selection of his recent (2012 – 2016) sculptural and installation projects carried out in New Zealand and abroad. See www.mollymorpethcanaday.co.nz for more details! The exhibition runs from Saturday 17 February – Sunday 8 April 2018 at Te kōputu a te whanga a Toi – Whakatāne Library and Exhibition Centre. The 2018 MMCA – 3D programme is made possible by the generous support of the Molly Morpeth Canaday Trust; a major supporter of the arts in Whakatāne for over 25 years. Something magical is happening with the arts in Whakatāne, and the rest of New Zealand has begun to take note. Local organisers of the 2018 Molly Morpeth Canaday Award 3D are delighted to report a record number of entries. Following the closure of entries last week, 233 works have been submitted and processed for consideration. This is more than double the number of entries for the 2016 3D awards, indicating a growing interest in Whakatāne’s fine-art programming and opportunities. It’s encouraging to see that the artists have responding strongly to the new innovation of having the 3D award in February. Entries are now being processed by Molly Morpeth Canaday Award organisers, and will soon be passed on to pre-selection judges Deborah Crowe, Scott Eady and Jasmine Te Hira. The sole guest judge, Deborah Crowe will select the final eight award winners in February ahead of the February 17 opening and awards ceremony at Te Kōputu a te whanga a Toi – Whakatāne Library and Exhibition Centre. “We are working hard, in partnership with Arts Whakatane, to innovate and grow the program,” said Eric Holowacz, Museum and Arts Director at Whakatane District Council. “From new creative development workshops at the local level, our largest number of applications from around the country, and increased award prizes — the 2018 3D event and exhibition should be the most interesting ever." The 2018 Molly Morpeth Canady Award – 3D is presented by Arts Whakatāne and Whakatāne Museum and Arts. The program is made possible through the generous support of the Molly Morpeth Canaday Fund, established by Frank Canaday in memory of his wife Molly Morpeth Canaday. The trust has been a major supporter of the arts in Whakatāne for over twenty-five years. There is one month remaining for artists to submit entries for the 2018 Molly Morpeth Canaday Award 3D. The Molly Morpeth Canaday Award - 3D has been established to provide a valuable professional platform for a range of practices, including sculpture, installation, and contemporary craft. It looks to recognise the quality and diversity of three dimensional work in New Zealand at present. Following the close of entries on December 1, the pre-selection judging panel of Jasmine Te Hira, Scott Eady, and Deborah Crowe will independently select potential finalists from the digital entries. Successful works from this stage will go through a second round of judging, to be carried out in early February 2018 by Deborah Crowe as Guest Judge. Awards will be announced on opening night 17 February 2018 at the exhibition venue Te koputu a te whanga a Toi / Whakatāne Library and Exhibition Centre. The 2018 Molly Morpeth Canady Award – 3D is presented by Arts Whakatāne and Whakatāne Museum and Arts. The Molly Morpeth Canaday Awards have been made possible through the generous support of the Molly Morpeth Canaday Fund, established by Frank Canaday in memory of his wife Molly Morpeth Canaday. The trust has been a major supporter of the arts in Whakatāne for over twenty five years. Please see www.mollymorpethcanaday.co.nz for further information including criteria, award history, and entry forms. Organisers have announced that the 2018 Molly Morpeth Canaday Award - 3D is to be judged by highly-regarded artist, academic and arts professional Deborah Crowe, with 2016 winner Jasmine te Hira and Dunedin - based artist Scott Eady on the pre-selection panel. Originally trained at Glasgow School of Art, Scotland, Deborah Crowe has contributed to the fields of art, craft and design in New Zealand and to international conferences and exhibitions for over twenty-five years. Her work includes objects, installations and complex imagery, often challenging to her audience to keep pace, and is held in collections including Te Papa Tongarewa, Glasgow School of Art and the Dowse Art Museum. She will be the sole guest judge in the final stage of judging and will select the $10,000 Major Award, sponsored by the Molly Morpeth Canaday Trust. “This is a valuable and significant national award with a focus on nurturing and promoting three dimensional work across a range of practices. It is a pleasure and an honour to be invited to contribute to the selection and judging process.” she says. Scott Eady is a Senior Lecturer of Sculpture at the Dunedin School of Art at Otago Polytechnic and his work is represented in public and private collections throughout New Zealand, Australia and Russia, while Jasmine te Hira’s work has been exhibited nationally and internationally, with The Beauty of Invisible Grief being the joint major winner of the 2016 Molly Morpeth Canaday Award – 3D. 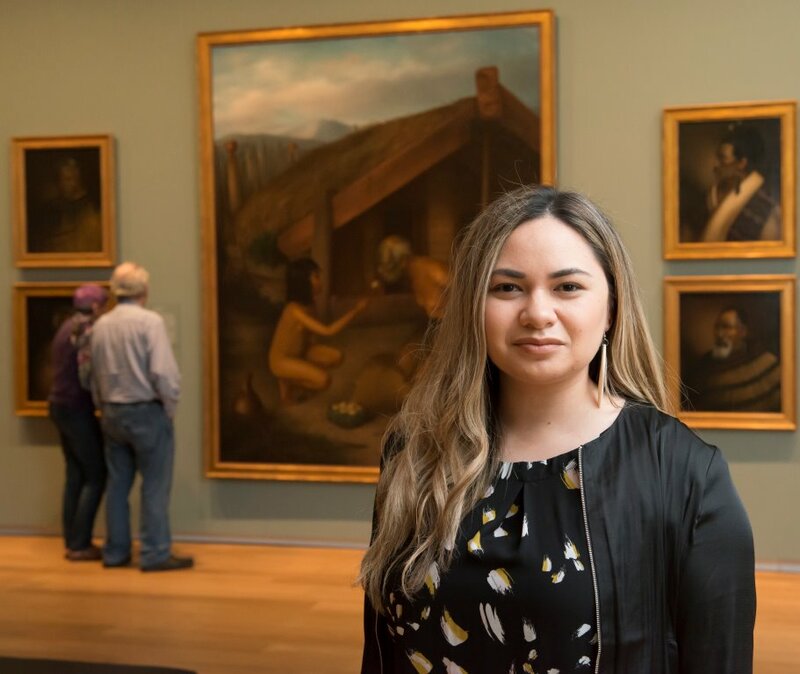 Jasmine currently works in the museum and gallery sector at Tāmaki Makaurau and is also working on establishing a community research archive at Tautai Contemporary Pacific Arts Trust. The Molly Morpeth Canaday Award - 3D is presented by Arts Whakatāne and exhibition partner Whakatāne Museum and Arts. These awards have been made possible through the generous support of the Molly Morpeth Canaday Trust, established by Frank Canaday in memory of his wife, Molly Morpeth Canaday. The trust has been a major supporter of the arts in Whakatāne for over twenty-five years. The Molly Morpeth Canaday Award - 3D nurtures and promotes three-dimensional arts nationally; providing a valuable and professional platform for artists working in the areas of sculpture, installation and contemporary craft. This national award aims to support artists by presenting contemporary 3D work across a range of disciplines; and to engage a national discussion about contemporary 3D arts practice and its presentation in New Zealand. The Molly Morpeth Canaday Award has gone from strength to strength to become one of New Zealand’s premium awards in painting, drawing and 3D arts. In recognition of this, Arts Whakatane, the award organisers, in conjunction with their major sponsor, have announced that the 3D Award will be hosted in 2018 and the Award for Painting and Drawing in 2019, with the 3D Award prize increased from $5,000 to $10,000. Heather Hourigan, Molly Morpeth Canaday Award Coordinator, says the reason for the change is in recognition of the success of the 2016 3D Award and also in acknowledgement that many contemporary art practices are overlapping and pushing boundaries. Organisers say that both exhibitions will continue to provide valuable space for critical discussion about contemporary art and will nurture both disciplines. In 2018, visitors can look forward to an exhibition showcasing work from some of New Zealand’s most innovative artists and an exciting public programme catering to both artists and visitors. Online entries will open for the Molly Morpeth Canaday Award 3D in August 2017 and must be submitted via the website www.mollymorpethcanaday.co.nz . The final selected works will be exhibited at Te Koputu a te whanga a Toi – the Whakatāne’s Library and Exhibition Centre in mid-February 2018. Entries for the Molly Morpeth Canaday Award for Painting and Drawing are expected to open in August 2018, with the awards exhibition opening in mid-February 2019.